Painful injuries or chronic conditions that restrict your range of motion can affect your ability to perform daily tasks and impact quality of life at any age. Gregory Trakhtenberg, MPT & Dmitry Shestakovsky, DPT at Midtown East Physical Therapy in New York City provide osteopathic manipulative medicine for the natural pain relief of many types of musculoskeletal conditions. Call one of the offices or schedule an appointment online, so you can get back to doing the things you enjoy without dependence on pain medications. What is osteopathic manipulative medicine? Osteopathic manipulative medicine is a patient-centered, whole-person approach to health care and healing. The philosophy is that your body has an innate ability to heal itself. Osteopathic manipulative medicine considers the relationship between your muscles, bones, nerves, and soft tissues during an injury and aims to restore function. 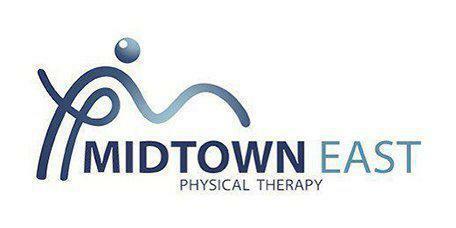 Your provider at Midtown East Physical Therapy uses hands-on osteopathic manipulative techniques as a therapeutic method to manually move your muscles, joints, and soft tissues to help you heal and improve their overall function. Osteopathic manipulative medicine is safe and effective for patients of all ages, from children to seniors. What conditions does osteopathic manipulative medicine treat? In many cases, osteopathic manipulative therapy can complement or replace medications or surgical procedures. What is the Strain Counterstrain technique? There are several different techniques for treating pain or injuries through osteopathic manipulative therapies, including the Strain Counterstrain technique. With this gentle method, either Dr. Trakhtenberg or Dr. Shestakovsky moves your body away from a position of restricted movement to one of greater comfort and better range of motion. This technique is often used to treat acute injuries. Strain Counterstrain manual therapy focuses on diminishing muscle spasms and pain to restore full range of motion to your joints and the surrounding affected areas of your body. If you have an acute or chronic painful condition that hasn’t responded to other treatment methods, or you simply want to take the most natural approach to healing, call one of the offices in Midtown or Brooklyn, or schedule an appointment using the online system.